Camping is wonderful isn't it? You get to go out into the wild, build a fire, pitch a tent, and tell ghost stories. My favorite part about camping isn't any of those things, though. No, the best part about camping in my opinion is the food. Whether it be planking freshly caught fish, roasting hot dogs, melting s'mores, or cooking hobo dinners, the food is always the most memorable part of camping to me because you get to eat stuff outside of the norm. Unfortunately, camping food still needs to be seasoned, just like any other food. Regular size spice shakers are far too large and clunky to pack away in a backpack for just a few days worth of camping, though. So, what is a camping enthusiast to do? Never fear! I will show you how to make a perfect camping-size spice shaker to pack along with you wherever you should choose to brave the wilderness. 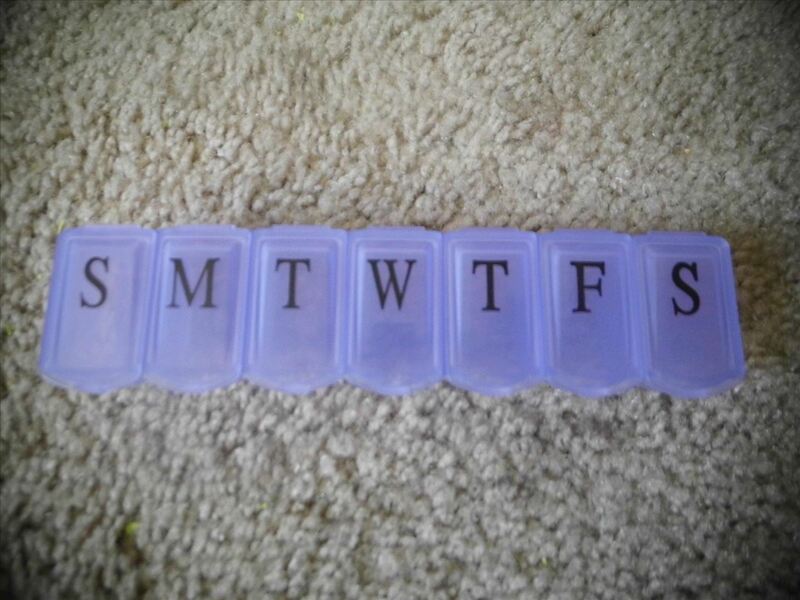 Wash your pill organizer out and close all the little flaps. 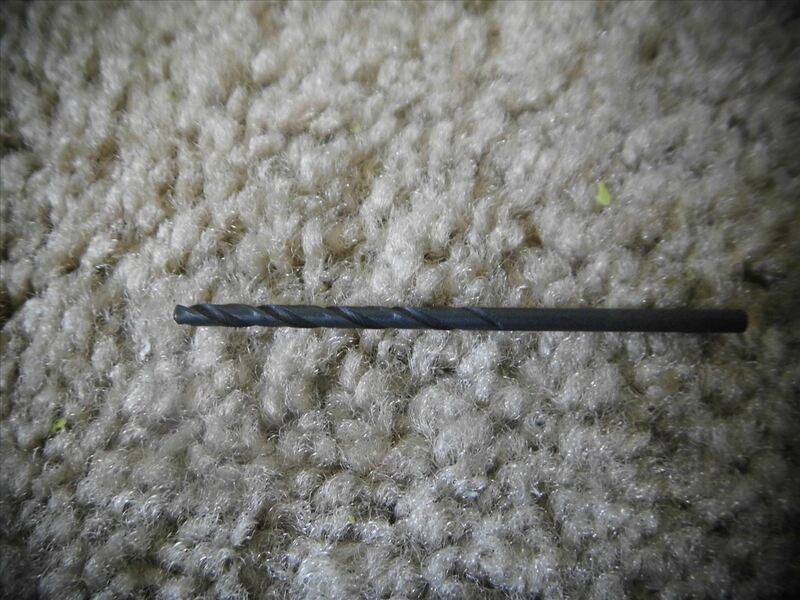 Attach your drill bit to your drill. 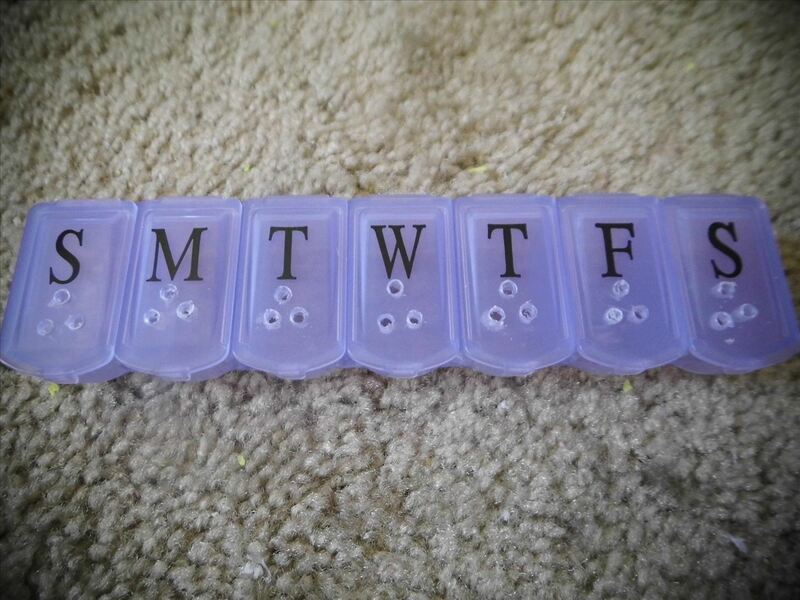 The lids on these pill organizers are surprisingly thick, so be sure to adjust the torque on your drill higher than normal. Drill three holes in the first compartment lid. 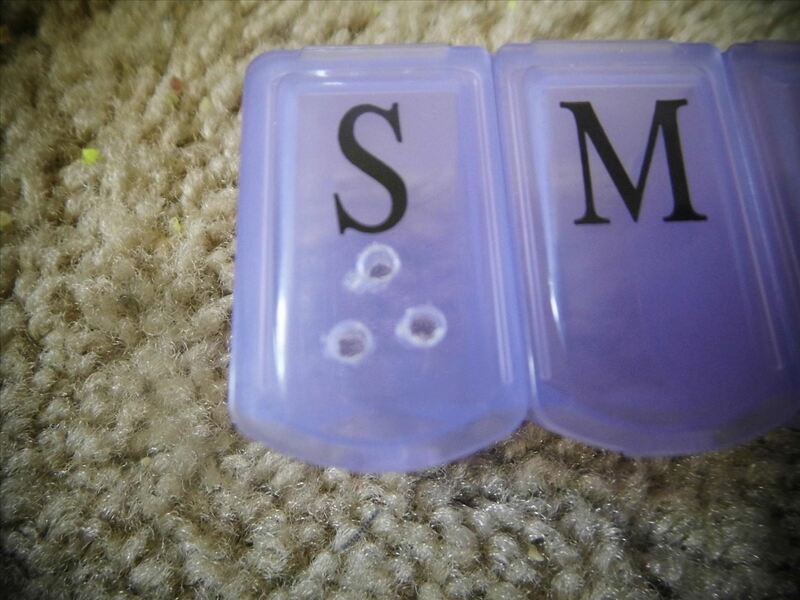 Drill three holes in each of the lids of the remaining compartments. 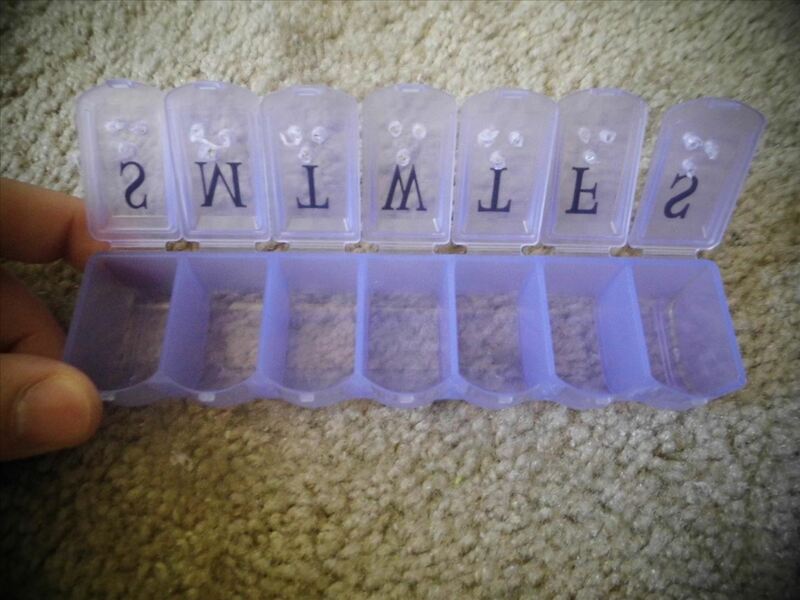 Open each compartment and wash out any bits of plastic that reside inside. Add the spices that you think you will use most, one to each compartment. I find a blend of salt, cinnamon, dried herbs, red pepper, cayenne pepper, season salt, and pepper to be particularly suited to camping. Be sure to take note of where you put each spice to avoid confusion. 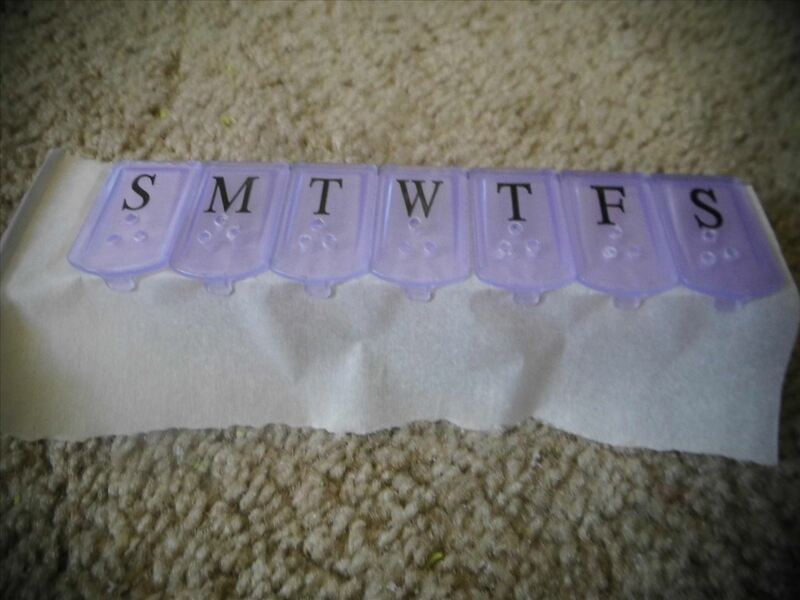 Measure out a strip of parchment paper that is a little wider than than the width of your pill organizer. 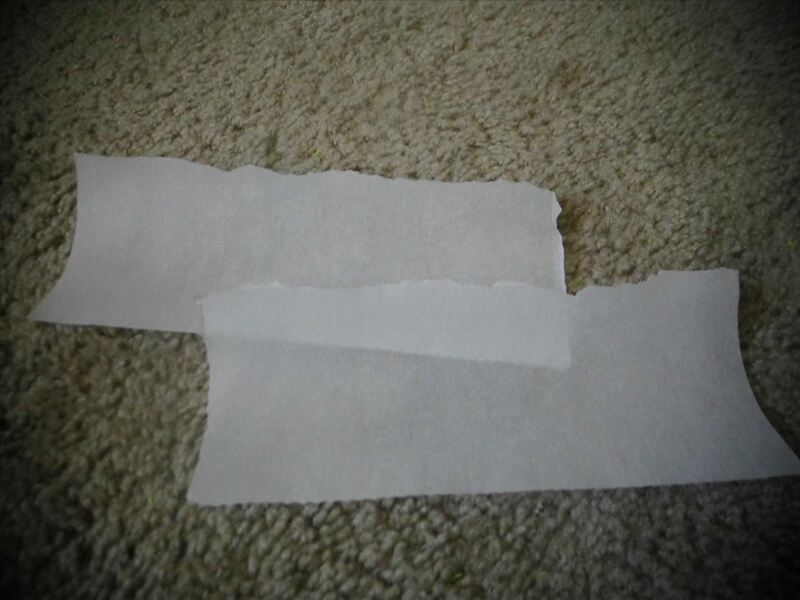 Fold your strip of parchment paper in half and rip it into two equal sized peoples. Place the two pieces of parchment paper beneath the lids of each compartment and clip them shut. Your camping shaker is now complete! When you want to use the spice on either end, simply open the lids, slide the paper down, and clip the lids back on. You are now finished! What would you use to make a camping size spice shaker? Sound off below. Except some of those I don't use often (like white pepper or fennel). So, I'd make my own letters. 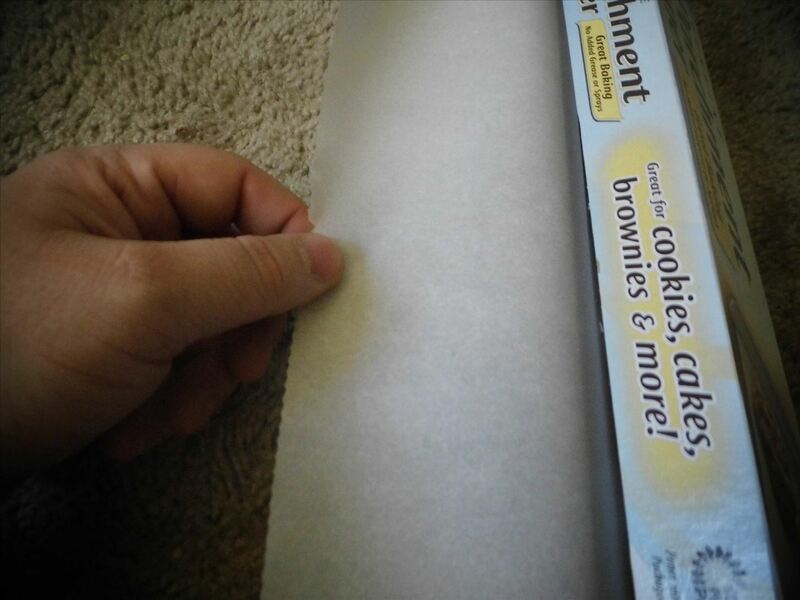 Maybe instead of putting parchment paper on the inside, I'd cut a tiny square just big enough to cover the drilled holes. Then I'd cut a rectangular piece of masking tape or something, about the size of one of the top lids, enough to cover the letter and the holes. I'd then fold one end on itself so that it could give me something to pinch with my fingers—to open when affixed to the lid. Then, I'd put the parchment square on the sticky side of the masking tape, then affix the whole thing to the lid so that the parchment covers the holes. Then, I could write what herb/spice is in there on the side of the tape that's covering the letter. Of course, after a few uses, the tape might wear out. And masking tape isn't thick enough not to see the letter underneath, so maybe white duct tape or something. I might play around and see what I come up with when I get around to doing this. But I feel a camping trip coming soon! Thats a good idea about the tape and parchment paper! Then, for people that forget things easily, it would be a lot better! 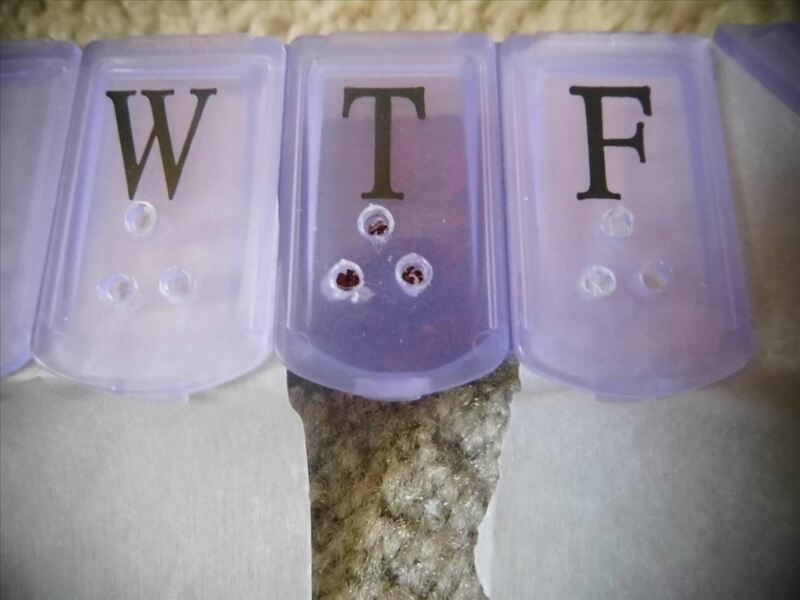 And, you could have file powder in the "F" slot! It is used to season gumbo and creole food I believe. Perhaps you could go camping, catch some crawfish and make gumbo in a coffee tin lol. Never heard of file powder. Interesting. 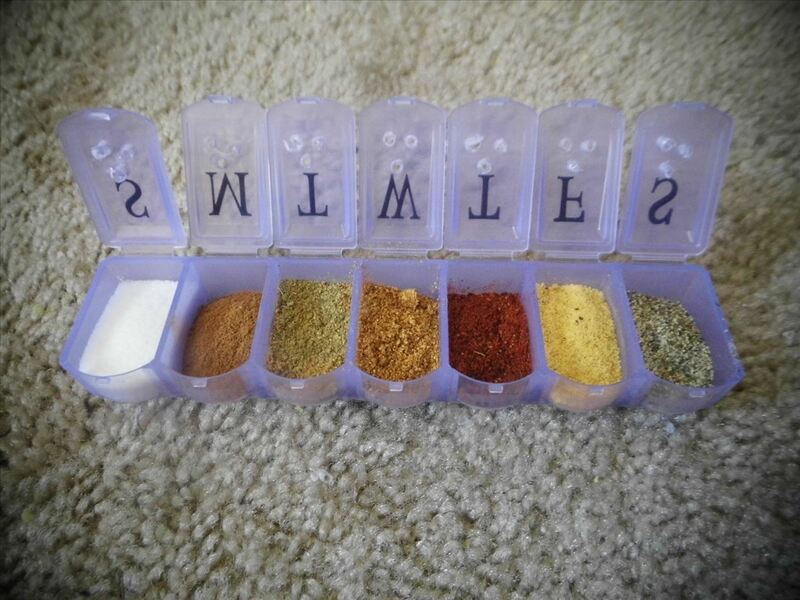 Or maybe a homemade "four" or "five" spice blend of whatever your "favorite" herbs/spices are. 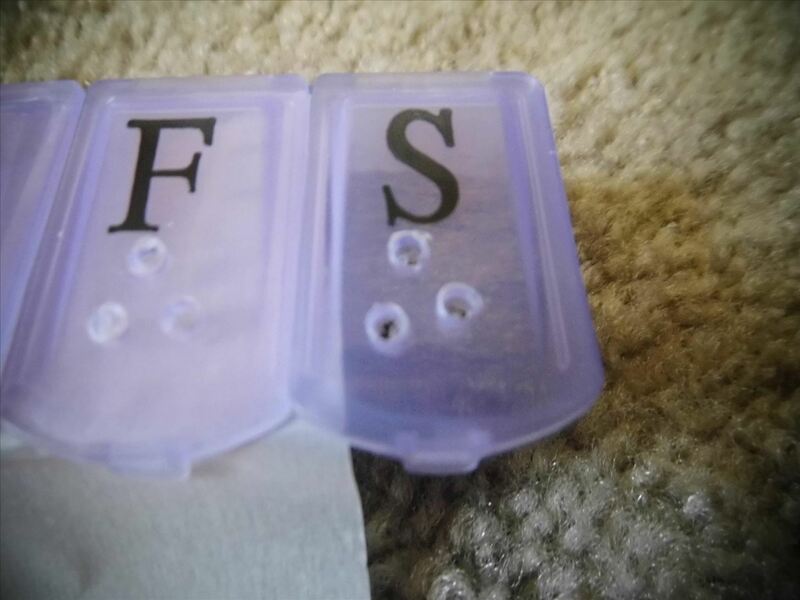 There is supposed to be a little accent above the e, for a "fee-lay" sound, but unfortunately I am not tech savvy enough to know how to do that lol. I do like your idea about the four or five spice though! Ah... filé. I just copy and paste the accents from other places. It's quicker. AH minced onion! Good idea Dragon, great for hobo dinners lol.